I am Katie Sandell and I love my work as a midwife. Women are amazing! 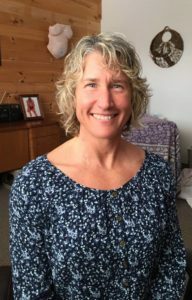 I am a Registered Nurse (RN), Certified Nurse Midwife (CNM), and Advanced Practice Nurse (APRN) with over 30 years of experience working with women and babies in clinic, home, hospital and birth center settings. I have a Bachelor of Nursing degree and a Master of Science in Midwifery, both from the University of Minnesota in Minneapolis. I am so honored to give gentle, attentive, qualified care to women and families during such an important time in their lives. While pregnancy, birth and babies are miracles, I became a midwife because I want to give women empowered care across their lives. In giving that care, I am in awe as I see women find their own powerful, intuitive ways through their pregnancy, birthing and life transitions. It is a gift to see women and families grow in this way. My practice of women’s health care is an integrative, holistic approach. By taking the time to listen to women, we work together using natural approaches to maintain health or re-balance the body and mind. I keep learning from every woman and family for whom I have had the privilege of being midwife. 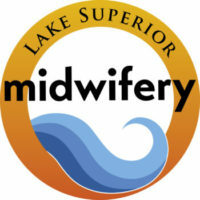 I moved to Duluth from Minneapolis with my young family in 1998 and started Lake Superior Midwifery in 2002. I love Duluth and all the wildness and gorgeous serenity of the nearby woods and waters. It feeds my spirit! I am a happy Mom, wife and midwife. I wouldn’t want to be anywhere else! How did I become a midwife? I saw how my sister’s experience with the midwives on the Midwife Unit at Hennepin County Medical Center made such a difference for her with her third baby. (At this time in Minnesota midwifery history, they were the only group of midwives in a hospital and they had their own special unit). I was a college freshman in nursing school and realized I wanted to be able to help women in this way. I bring decades of healthcare experience to my work. I became an RN in 1987 and started my career on a medical/surgical hospital unit. This was invaluable experience to take on my path to becoming a midwife. Next, it was back to HCMC where my vision for midwifery started. For 7 years, I worked as an RN caring for laboring and birthing women, newborns in their Mama’s arms, postpartum and breastfeeding Mamas and babies in the newborn nursery. I worked on the Midwife Unit and learned from those seasoned midwives how beautiful a natural, gentle, midwife assisted birth could be! I saw many natural births and learned to recognize problems in labor, with newborns and postpartum/breastfeeding problems. There were also many emergencies in labor and birth that our team of midwives and nurses dealt with. To this day I value all that experience with Moms and newborns. It served me well in midwifery school too. While a student earning my Master’s in Midwifery at the U of M, I got my experience working with several Twin Cities midwife groups in the clinic and hospital. My many preceptors had an array of practice styles. I kept my vision of the kind of midwife I wanted to be tucked safely next to my heart. I became a midwife in 1996. Being a homebirth midwife in independent practice has been a dream come true! I am a rare breed of homebirth midwife. CNM’s have the broadest scope of midwifery practice. There are only a handful of independent CNM’s doing home birth in MN. Most out-of-hospital midwives are licensed Certified Professional Midwives and some are unlicensed and traditional midwives. (see FAQ’s) Those midwives do not have the credentials to practice as broadly as a CNM. I am a primary women’s healthcare provider for all aspects of women’s health including newborn babies. (Very similar to a Nurse Practitioner) I have the privilege of blending my medical background with the art, intuition and science of midwifery. I rely on the broader wisdom of natural medicine and can also prescribe medications when needed. In this way, I am a unique blend of experience and practice approaches.